Titans finish preseason without a win. Who is on the final roster? 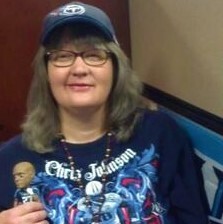 The best word to summarize the Titans entire pre-season is forgettable. The games were low scoring, boring to watch and all losses. The loss to the Pittsburgh Steelers 16-6 was really something that any Tennessee fan would want to forget. Our much-loved quarterback Marcus Mariota had one stinker of a run. Mariota only played during the first half, but he only had five completions for 43 yards and one interception. Hopefully, we won’t see this type of play during the regular season. On Wednesday, April 4 in downtown Nashville, the Tennessee Titans hosted a live event showcasing their new “Tradition Evolved” uniform design. Twenty thousand fans packed downtown Nashville on Broadway; the festivities included DJ Silver, live bands including country music duo Florida Georgia Line and former Tennessee Titans that had participated in the last uniform redesign back in 1999, Craig Hentrich, Blaine Bishop, Frank Wycheck, and Eddie George. Throughout the entire 2017 season, there was a feeling that something with the Titans team was missing. 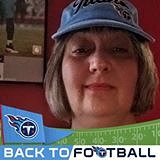 Titans fans were sure that 2017 would be the year the Titans, would finally get nationwide respect and get in the Superbowl, but that did not happen. The team lost games that they should have easily won, and the Titans never seemed to play a complete game where the defense and the offense were both performing at their best. I couldn’t figure out what the main problem was, but many Titans fans complained that the play calling was too predictable and not favorable to quarterback Marcus Mariota. In the end, the coaches got the blame for the lackluster season and were axed. Ownership and the general manager Jon Robinson took action, and now the 2018 Titans will have to adjust to an almost entirely new coaching staff.